The Ethnography Museum’s architect Arif Hikmet (Koyunoğlu) is one of the most renowned architects of the early Republican period. The building has a rectangular plan with a single dome. The stone walls are faced with coarse sandstone, and the marble pediment has carved decoration. 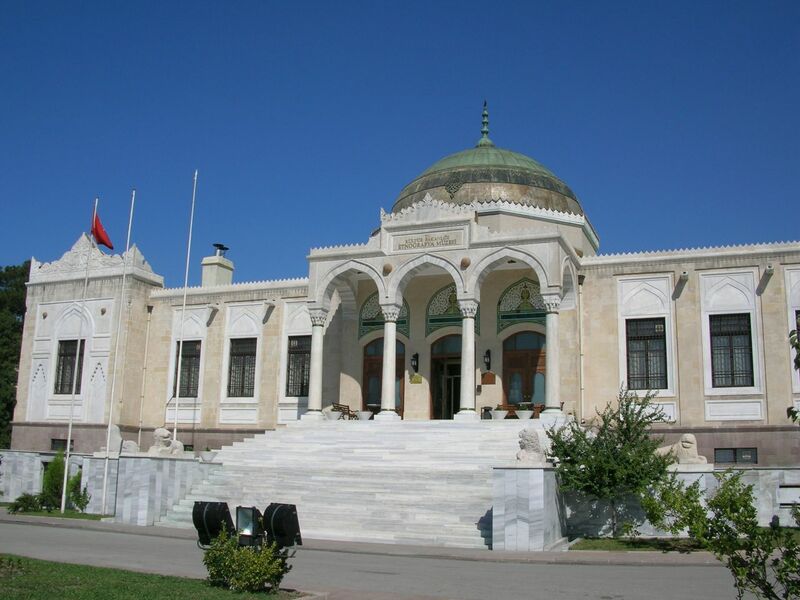 The Ethnography Museum houses examples of Turkish art dating from the Seljuq period to modern times. To the right of the entrance are halls displaying items related to the Anatolian wedding ceremony and bridal dresses, Turkish embroidery, Turkish carpets, Anatolian coffee culture and the circumcision ceremony. To the left of the entrance are halls housing tile and glass artefacts, objects donated by Besim Atalay, Ottoman calligraphy and some of the finest wooden artefacts from the Seljuq and Emirate periods.